Naveen Patnaik has let his political options open in the post-poll scenario on the national stage. He shed his qualm against political alliances. In a stark deviation from his pursuing equidistant policy of relation in the national political ambit, the BJD supremo, on Monday said that his party would support any political group which would ensure commitment to the interest of Odisha. He revealed his mind in an interview to India- Today came on air on Monday. One earlier interview of his to NDTV, however, did not pick his new mind. But, Mr. Patnaik has hinted his role in the national politics right at the onset of his election-campaign on 25th of March at Nayagarh. He had said that since no party would be winning the number to form a government on its own BJD would play a crucial role in government formation. After Naveen Patnaik tossed this policy, It has cudgeled the political minds in Odisha-why is the shift of policy; does he have any preference for any party in his mind? Since Naveen Patnaik snapped the 12 years of the tie with BJP, his party has been resorting to relationship, tag-lined equidistant-No proximity either to BJP or to Congress. However, he was not averse to going along with other smaller parties in Odisha. In fact relationship with BJP and Congress matters the most in Odisha. Naveen has gained the best out of this scheme. The UPA during 2009 and 2014 had let the BJD deep its roots at its own cost. Some miss-steps, taken by the Congress’ central leadership then were said to be not inadvertently made. To keep BJP away from power in Odisha Congress pandered to Naveen’s goodwill. After 2014, BJP too pursued the same way of not hurting Naveen in Odisha, till recently when there have been the swelled aggressions on the Naveen government by BJP’s central leadership; till BJP has made inroads into the BJD’s space. 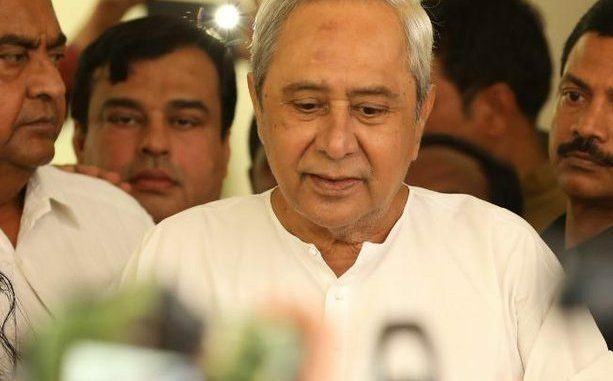 It seems Naveen might have sensed the call from the national politics in the post-poll situation that he cannot avoid and that he cannot respond by sticking to the equidistant formula that, he feels, is running out of its effectiveness. He has tossed his support as bait to achieve what was available to him without asking for in the last ten years. In the last five years, on legislative matters, he has backed UPA on some and backed NDA on some. But, on political matters, he has carefully maintained himself so as not be linked with Congress. He had never shared a stage with anti-Modi forces for once of the several demonstrations of strength of the Mahagathbandhan.